(1913-1969) Society President (1962-64), Journal editor (1957-69), Handbook editor (1958-70); Service Award (1967). RUTH J. NORTHCOTT (1913-1969), as a student at the University of Toronto, produced such meticulous lab reports that Professor R.K. Young suggested she join the Astronomy department as a computer. This she did after earning her M.A. in 1935. In the early years she compiled meteor and variable star observations from amateurs, and, working with R.E. Williamson, produced what was probably the first radio map in galactic co-ordinates, based on Reber's observations. But throughout her academic career, her main research interest was radial velocities and spectroscopic binaries. Professor Northcott taught an Extension Course for teachers for nearly 20 years and was completely responsible for the laboratory work for astronomy students at the University. She took a rare personal interest in her students, photographing her classes and keeping in touch with many graduates. Miss Northcott joined the RASC in 1935 and held office in the Toronto Centre as Recorder, Vice-Chairman and ultimately Chairman in 1943. She frequently spoke at meetings on a wide variety of topics, served on the Public Star Night Committee, answered queries from the question box, reviewed current astronomical happenings at each meeting, and gave a series of short lectures intended to acquaint new members with the use of the Handbook. 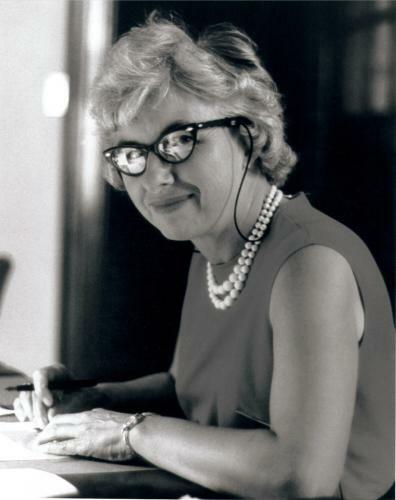 At the National level, Professor Northcott carried out her work as Assistant Editor and later as Editor of both the Journal and the Handbook with the utmost care. She strove to see that everything reflected the highest possible standard and brought the circulation of the Handbook to unsurpassed levels. On top of these heavy responsibilities, she served during the years 1959-65 as Vice-President and President of the Society. The Society presented her with the Service Award in 1967.